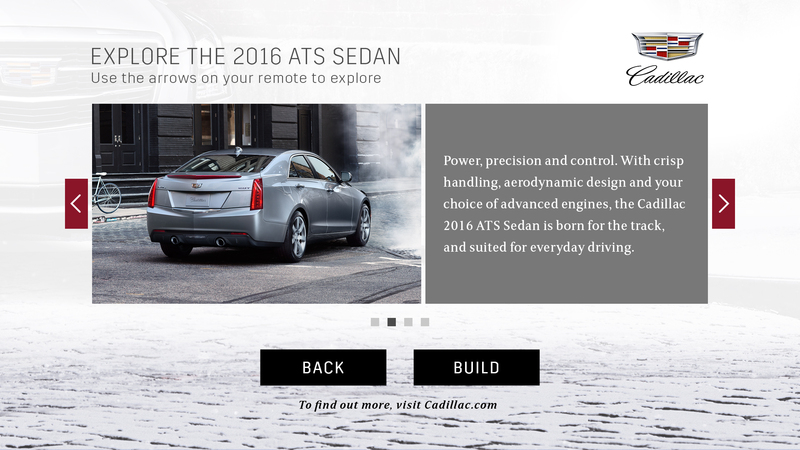 Goals: Showcase the design and capabilities of the new Cadillac ATS Sedan. 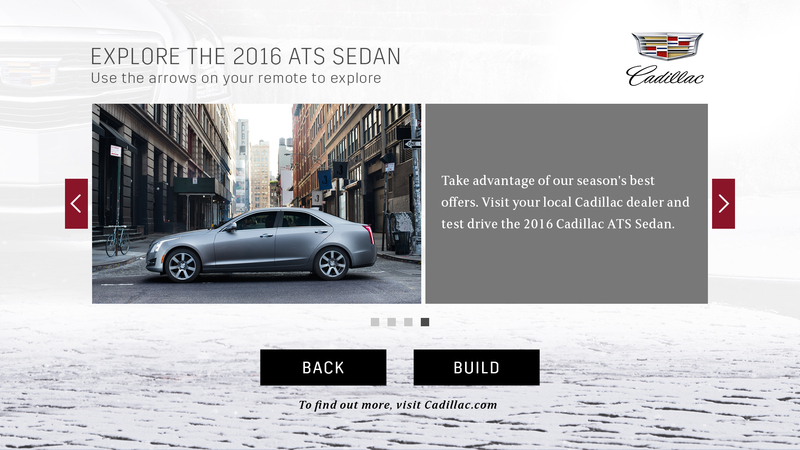 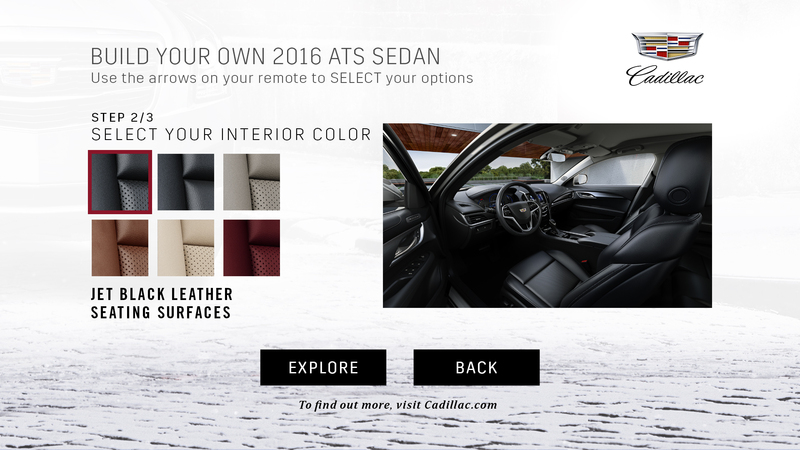 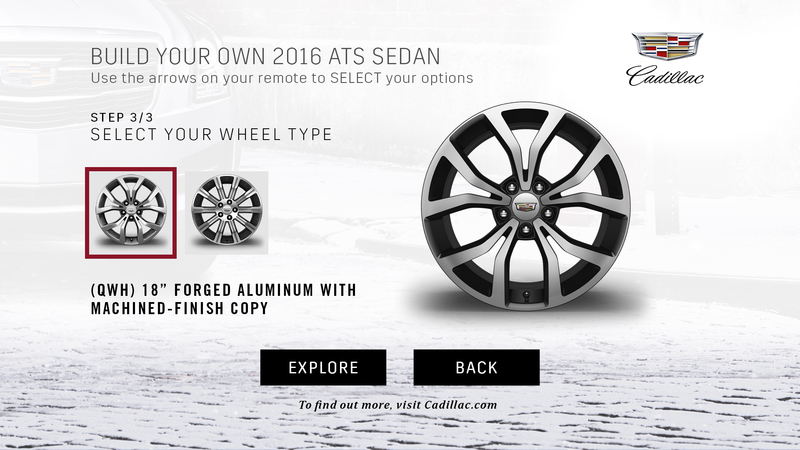 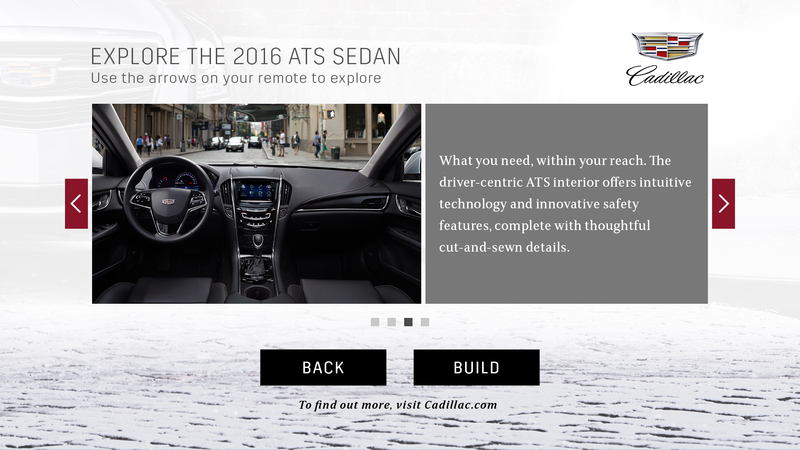 Overview: I created a clean and sophisticated experience for viewers to learn more about the 2016 ATS Sedan on DirecTV. 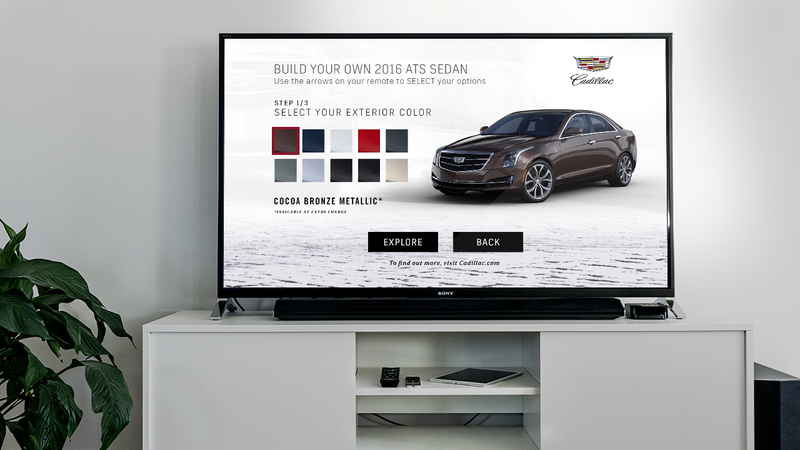 Viewers were greeted with looping video/animations upon arrival which encouraged them to engage with the features within: an elegant image gallery and a dynamic car builder which allowed viewers to customize the 2016 ATS Sedan to fit their exact specifications and be better equipped once at the dealership. 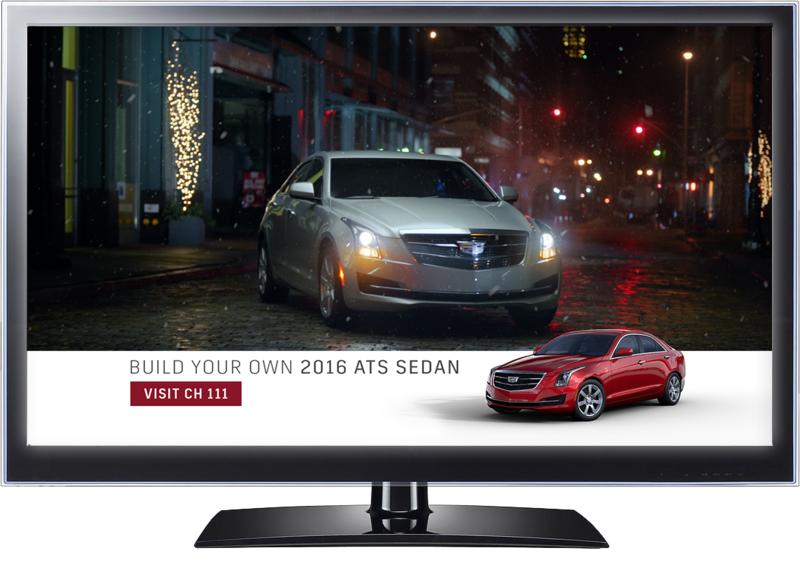 Viewers encountered the enhanced commercial during normal commercial breaks on DirecTV. 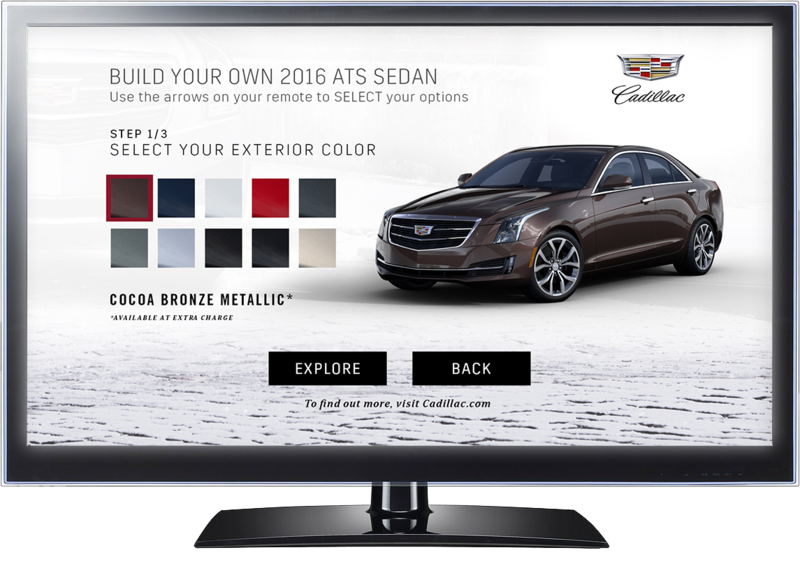 The commercial encouraged them to visit channel 111 to see more and even build their own Cadillac ATS Sedan. 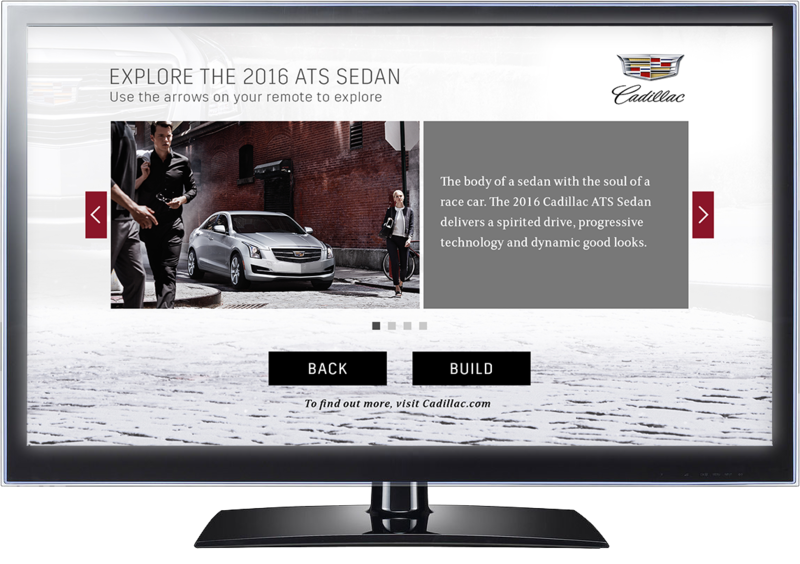 Viewers interested to learn more visited channel 111. 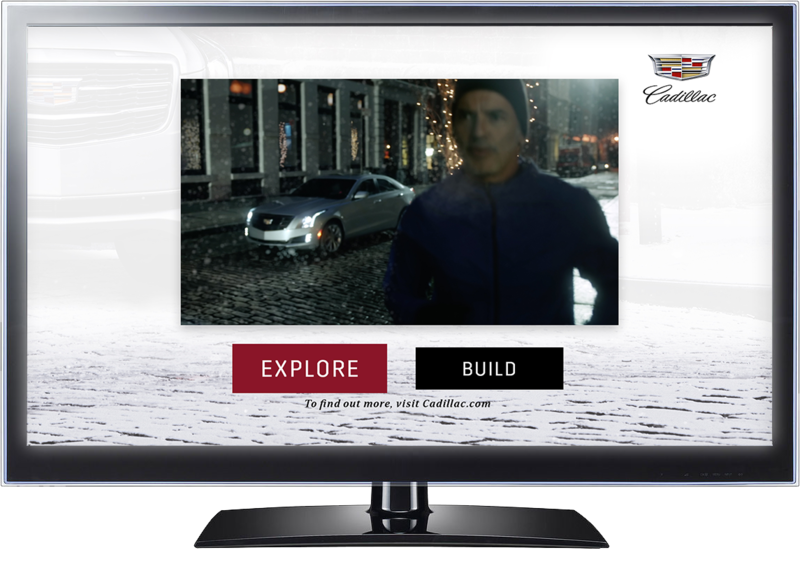 Once at the channel, the commercial spot played in a squeeze back frame while custom animated billboards drove viewers to the “EXPLORE” and “BUILD” sections of the channel. 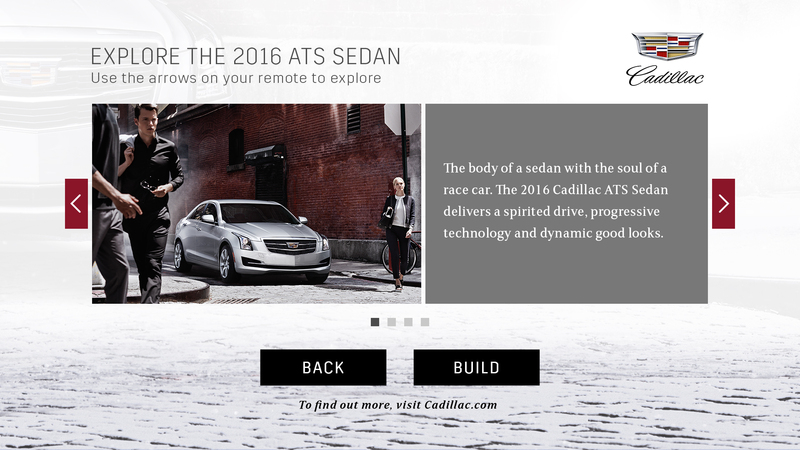 Once at the Explore feature, viewers discovered key facts of the ATS Sedan alongside hi-res images of the car at different angles. 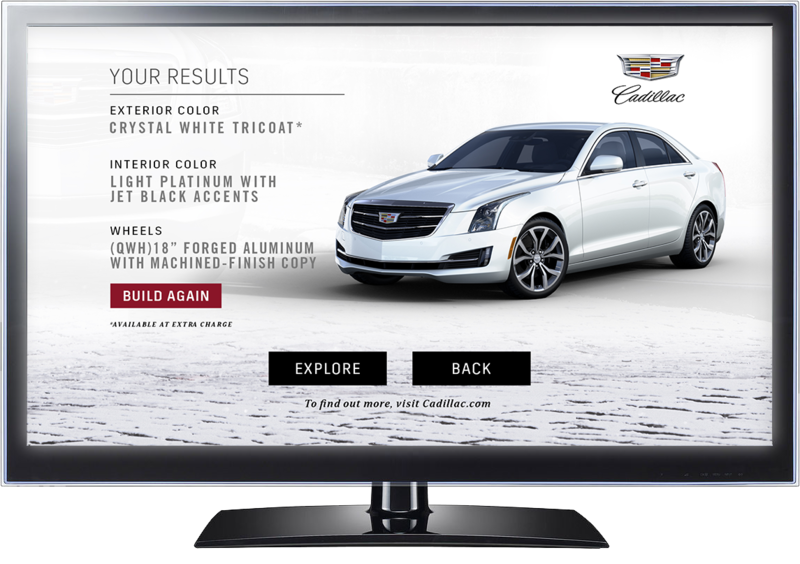 Viewers saw more angles of the Cadillac ATS Sedan and learned more about what sets this car about from the competition.